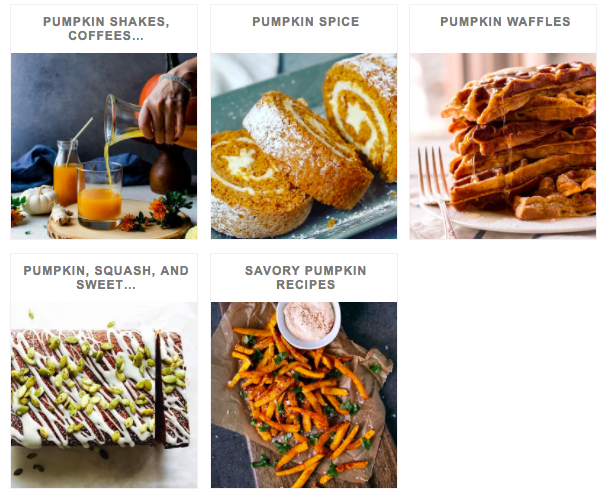 The pumpkin spice frenzy can get a bit out of hand, but these tried and true recipes live up to the hype. Make these pumpkin spiced treats, cocktails and desserts and get into the fall spirit! Serve guests homemade apple cider in a festive pumpkin keg. It's filled with all the flavors of fall and spiced with Simply Organic Pumpkin Spice, Cinnamon, Cloves and Vanilla! Splash of bourbon optional, but highly recommended! Complete with a homemade pumpkin spice syrup and a graham cracker crumb rim! Looking for more seasonal cocktail recipes? Be sure to watch our FeedfeedTV series Happy Hour with Husbands that Cook here! We used all purpose gluten free flour in this recipe, but you can easily substitute with regular all purpose flour if you prefer. 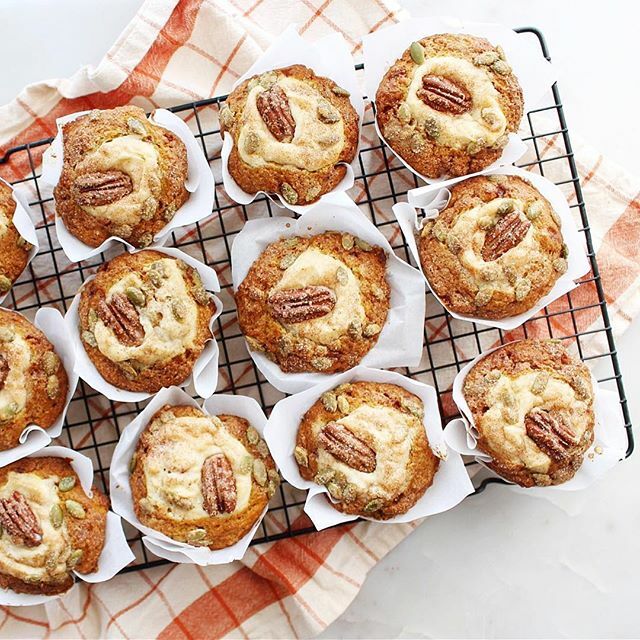 Filled with maple sweetened cream cheese and topped with maple nut toffee, these muffins will quickly become a family favorite. 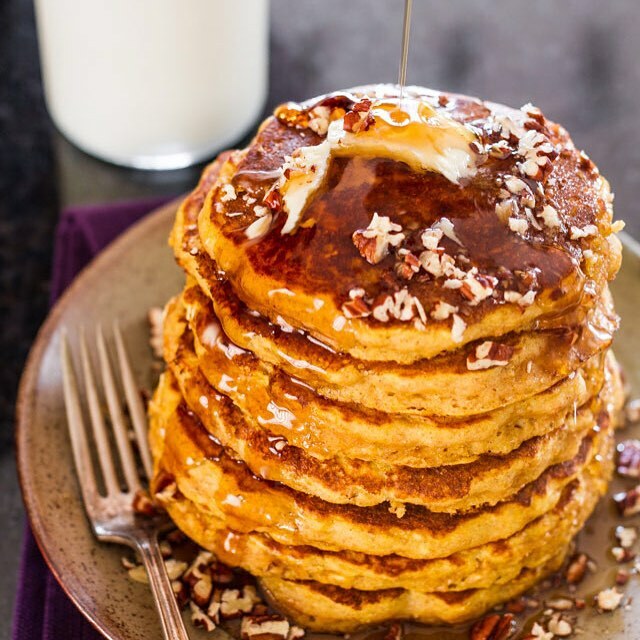 These pancakes are made with apple sauce, pumpkin puree and buttermilk resulting in light & fluffy fall flapjacks! It may be fall, but the recent temperatures have felt more like the middle of summer! 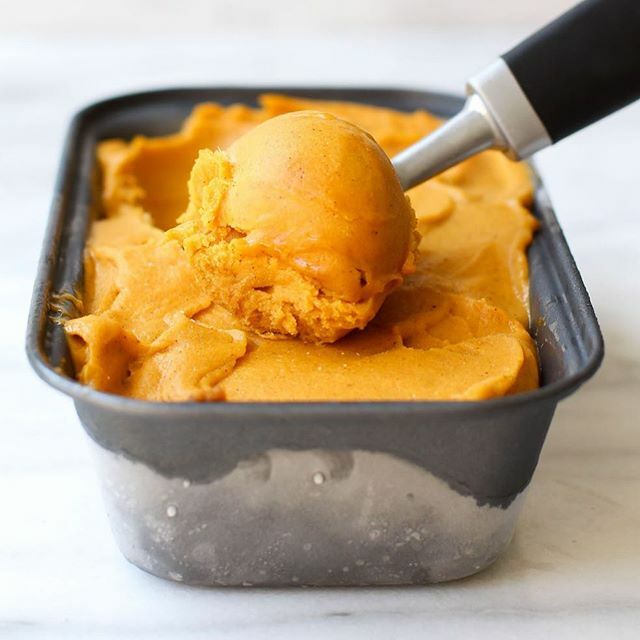 Keep cool with this dairy-free pumpkin nice cream made from banana, carrot juice, pumpkin puree and dates! 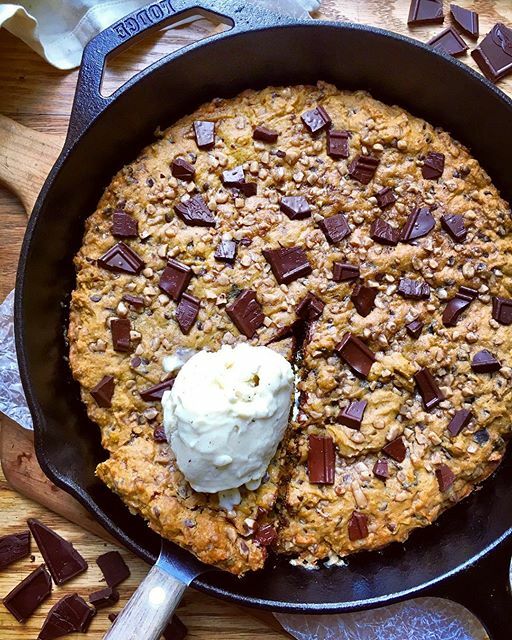 For when you just need one giant cookie! 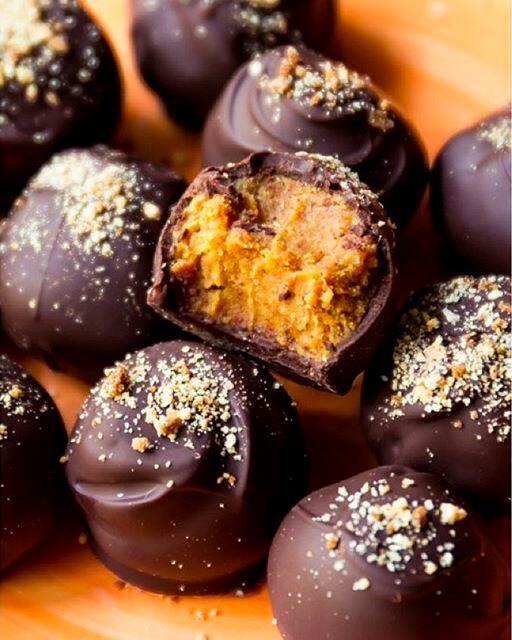 Skip store bought chocolates and make these easy truffles at home! 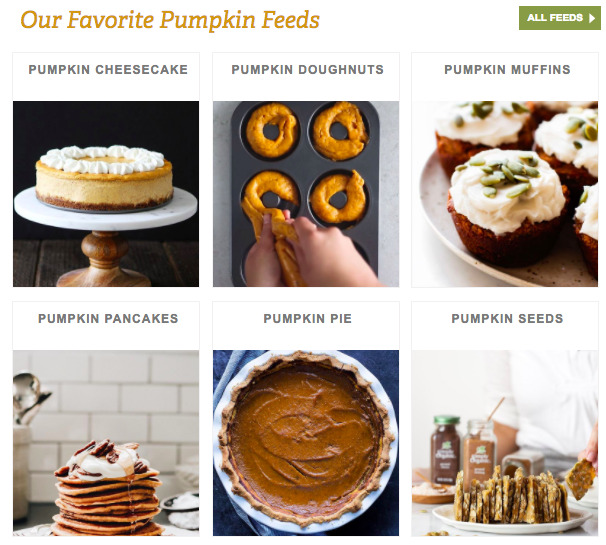 Check out all of the pumpkin feeds on our website!